First, they warn the threat of terrorism has never been so dire. Then they cut the funds to fight it. This is what has happened in the Netherlands, where experts say 'homegrown jihadism" is not only growing, but changing, largely as a result of the war in Syria. More than 100 Dutch Muslims have joined the resistance battling dictator Bashar al-Assad, most of them becoming members of terrorist groups Jabhat al-Nusra, an al-Qaida affiliate, or the Islamic State of Iraq and Syria (ISIS), the most violent of the Islamic terrorist groups, now waging a new war in Iraq. Now at least 30 of those Dutch youth have returned home, but the country's intelligence agency can't track them. Budget cuts have crippled their ability to keep pace. And yet, despite this, Interior Minister Ronald Plasterk is calling for an additional €70 million in cuts – this when the country's terror alert is at its second-highest level and the number of Salafist, or radical and often violent Muslims, is on the rise. Indeed, Europol reports that in 2013, "Al Qaeda and like-minded terrorist groups abroad continued to encourage self-organized attacks within the EU, aiming for indiscriminate casualties." The Netherlands has had a particularly high profile when it comes to terror threats in Europe. It is one of the four European countries where a successful Islamist terrorist attack has taken place: the murder, 10 years ago this November, of filmmaker-commentator Theo van Gogh, who was shot and stabbed in broad daylight by a Dutch-Moroccan extremist. The country also has one of the largest and fastest-growing Muslim populations (per capita) in Western Europe. Moreover, recent reports described a particularly rapid rise of Salafism among second- and third-generation young Muslim men and women – that is, Muslim youth born and raised in the West. Many of these youths have formed – or joined – local radical groups such as Sharia4Holland, Behind Bars, or the Hofstadgroep, and have joined or trained with extremist groups abroad – not only in Syria, but also in Somalia, Pakistan, and Afghanistan. Consequently, as the Dutch NOS News revealed in April, the Dutch Intelligence and Security Service (AIVD) has begun focusing on activities taking place in the Middle East. According to the NOS, "The AIVD warns of new, activist streams of radical Islam that include groups like Sharia4Holland and Behind Bars – jihadist networks whose leaders are fighting in Syria while back home in the Netherlands, large numbers of other members circulate heavy propaganda, often via Internet and social media. They openly declare their alliance with Al Qaeda and Osama bin Laden." Many of these groups have begun looking to crowd-funding, soliciting donations via fundraising websites and social media to support and help free "brothers" who have been imprisoned, either in Europe or Syria – so that they might rejoin the fight or recruitment efforts. 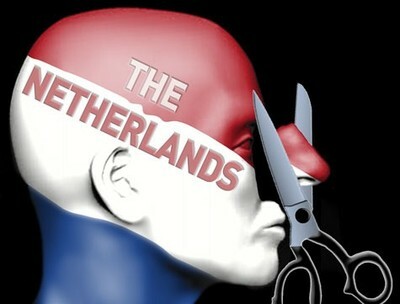 With such perspectives invading even the political structure of the Netherlands, tying the hands of the country's counter-terrorism forces is not only foolhardy, but outright dangerous. This is more than a local issue for Holland. Dutch citizens have free access to all of Europe – and the recent attack on the Jewish Museum in Belgium by a French Muslim jihadist shows, permeable borders make it that much easier for those who have fought and trained in Syria – as he did – to slip past. What's more, any Dutch citizen can travel, visa free, to America, grabbing one of five daily nonstop flights to New York. Part of the ISIS propaganda effort is a series of threats against the United States. If threats are part of a campaign to win support, imagine what one successful attack could do for ISIS's profile among western radicals. For the past few years, the AIVD has served as one of the world's best protective forces against such attackers. The agency maintains a leading role in global counter-terrorism efforts, especially in Europe, where it foiled a series of at least five attacks across the continent in 2008, and was instrumental in aiding the arrest, in 2012, of three al-Qaida members who had been sent to Europe to organize attacks there. Such achievements – and the dangers that they reveal – illustrate precisely what the West is facing. It is no longer about various domestic threats, nation to nation. This is a war in which information – intelligence – stands as one of our most important weapons, not just country to country, but across the entire Western world. There can be no compromise here. We cannot afford to limit what we know, or to concern ourselves with cost. Our lives, our futures, rest more than ever on the power of what we know. Abigail R. Esman, the author, most recently, of Radical State: How Jihad Is Winning Over Democracy in the West (Praeger, 2010), is a freelance writer based in New York and the Netherlands. Very odd, to imagine that the best way to avoid disaster is being hamstrung by paltry financial considerations. If there is no wish to engage in senseless conflict, at least there should always be the resolve to protect people from those who (for whatever reason) have decided to pursue such senseless conflict. Peaceful coexistence does not have to mean sacrificing oneself meaninglessly. Incredible!